As early as 2020, many industries will struggle to find the skills on which their future competitiveness depends. It is forecasted that 35% of the skills that are considered important today will not be in five years' time. 75% of your workforce will be made up of millennials by 2025. Organizations must revisit their traditional approaches to talent management in order to be sustainable. We asked world leading companies what they're doing to refresh and disrupt their approach. Read the report to discover what we learnt and how you can refresh or disrupt your own talent strategy to ensure future commercial success. Artificial intelligence, the rise of the freelancer, and the potentially massive shortages of skilled labor (causing global economies to miss out $8.5 trillion of un-generated revenue by 2030, according to recent economic research) are just three factors due to impact global workforces over the coming decade. By 2025, it is estimated that millennials will make up 75% of all employees. These are people who have only ever known life in a digital world. How will they respond to the decades-old processes and solutions that many of them will be expected to deploy when they reach executive and C-suite level? The rate and extent of transformation clearly has implications for our approach to talent management. At a minimum, there needs to be a refresh. For organizations in markets that are unrecognizable from the past, nothing short of a disrupted talent management solution might be in order. 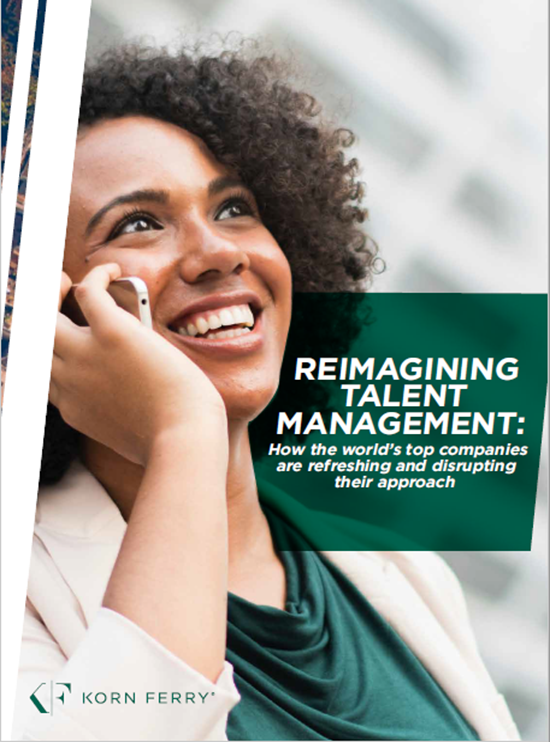 To learn more about how talent management strategies could potentially be reshaped, we conducted in-depth interviews with a selection of the world’s leading organizations. Our aim? To understand and analyze their responses to the seismic changes taking place in the world of work.